Are you pregnant? 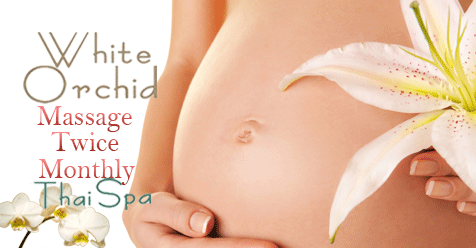 Get a specialized massage safely while you are with child! Your Body will Love It, your baby will too! You’ll feel more energized and calm at the same time. White Orchid Thai Spa offers many types of massage. Try a Deep Tissue, Hot Stone, Foot Reflexology, Thai, Swedish, and yes, Pregnancy Massage, they’re all soothing and relaxing!